So you’re thinking about cutting cable TV and streaming all your entertainment content. You started looking around and found a number of streaming media players on the market and are not sure what is the right device for you. Here is our Best Android Streaming Boxes to help you. We have compiled a number of streaming media players and reviewed them for you. This information is here to help you sort through what we hope would be the best streaming media player for your needs and if in fact you even need one. You may already have a Smart TV or Gaming Console that may serve your needs. 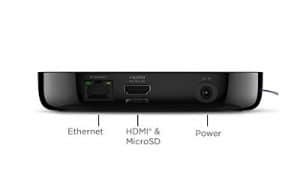 Do you need a media streaming device if you have a smart TV? We have gone through many Streaming Media players on the market and we narrowed it down to these best selling units. We have added a few streaming sticks if your needs are minimal also we have included streaming media players with additional, faster speed, internal storage and some that provide a gaming controller to enhance the gaming experience. 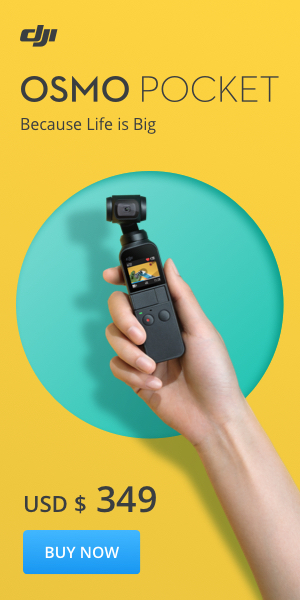 The prices range from $40 to a $250 with some units that come with a remote and gaming controller or some that you simply download an app and control your Streaming Player with your smart phone. Some streaming media players can become a hub for a smart home depending on how high tech you want to be. NVidia Shield is set up for this addition and can be expanded from room to room. So let's go over one by one the Best Android Streaming Boxes to see which streaming android box is for you. Roku has been around for a number of years specializing in the streaming TV device market. They may not be as recognizable as the Chrome cast or Amazon Fire. But they make a very good product. The Roku stick is pretty much that, a simple USB dongle that the manufacturers decided to make it purple with a mat finish. That plugs into your USB port on the back of your TV. There is an additional power cord provided if your TV USB port does not provide power. The nice part about streaming sticks is the simplicity of hook up. No wires to untangle. Well, you may have one if you need power. Just plug it in and you are good to go. A colorful remote with the purple buttons is providing for easy navigation. The remote has a light slightly cheap feel to it. The colorful squishy buttons give it a kid feel and not the sophisticated look and feel like the Amazon Fire remote or Apple TV remote. The remote also has 4 shortcut buttons, Netflix, Spotify, YouTube and Google Play handy if you use these services regularly. If you are not into these streaming services the buttons are then pretty useless. It would be nice to make these buttons assignable to your own personal preference. Once you have plugged in the Roku Stick use the remote to power on and follow the onscreen instructions. Be sure to choose the same AUX channel as the AUX port you plugged into. Set up is quite simple, but they kind of force you to register your unit with Roku upon setup and that can take additional time during setup. Also, they require you to input a credit card to register your account. You are now set up to purchase pay per view and apps should you decide to pay for any of these additional services. This can be annoying to some, but you only have to do it once. After that navigating is quite fast. After you have done the initial setup you can now download some apps and streaming providers. 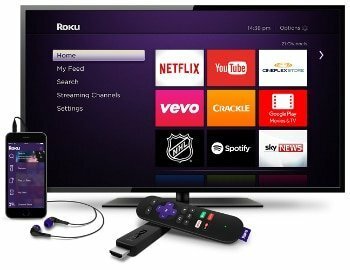 The Roku Stick has available an incredible amount of Apps, Games, Movie and TV services from all around the world, that is more comprehensive than most competitors. What is nice about the Roku is the on screen menu is completely customizable. You can download the apps you like and delete the ones you don’t want. A real nice feature, unlike cable TV, where you have to search through hundreds of channels you don’t have available to find a program. With the Roku menu, you can have only the Apps you want, making it easy to navigate to your particular programs and games without any unnecessary clutter to get in your way. Watching experience is really nice. Streams in full 1080hp, which means a really clear picture. It does not as most streaming sticks in the market support 4K content. It does support surround sound so you can use it with your TVs surround system. The remote can be a little slow when loading apps at times. It can take a minute or so for it to fully load. Also sometimes if you shut the Roku off and come back a few hours later the remote and the stick seemed to take a few presses of the remote for them to reconnect again. The remote when it’s working is very responsive despite the occasional lagging. Over all the Roku Streaming Stick is pretty impressive for the cost and size. Unlike the Amazon Fire products, the Roku is available in Canada. 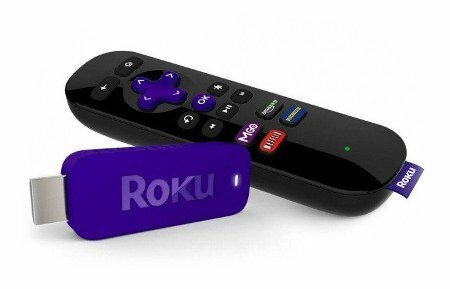 The Roku stick has much more to offer and is a better choice than Chromcast and it has many of the same features as the Amazon Fire Stick with a larger selection of programming, movies, and games available and less pressure to sign up to Amazon Video Service. Should you buy one if you already have a smart TV? Probably not many of the features are available on many newer smart TVs but the programming is limited compared to the Roku. If you have a newer TV you should purchase a unit with 4K capabilities to get the best picture from your new TV. See our post Do you need a Streaming Media Device if you have a smart TV. The Roku Stick is ideal for a second older TV in the house or for a student on the go. The Roku can be a great portable streaming device that may meet all your needs if you don’t require too much. The latest version of Amazon Fire Stick is a big improvement from their past version. The main thing is speed; the new stick is fast, responsive with no delay similar to swiping apps on a smart device a much more enjoyable experience than their past model. The fire Stick is a simple dongle or fancy name for a big USB stick that you plug in the back of your TV and into the HDMI port. If it’s a tight fit the Fire Stick comes with an extender to make it a little easier to get at. An additional cable is provided for additional power if needed. Not all TVs have USB ports and not all TVs have power output needed to power external devices. Start up is easy. Once you power up the unit, sign into your Amazon account and away you go. A menu pops up with access to pretty much all the best streaming services catch up players and apps. The interface is very easy to use and well laid out. Depending on where you are in the world you will get different access to streaming services. A big new bonus feature on the fire stick is you are getting pretty much the full-blown Alexa that is in the Amazon Echo and Amazon Tap without the fancy box included in this tiny $50 stick. If you are not familiar with Alexa it is a voice activated service that allows you to basically talk to your Fire Stick and tell it to search for music, TV programs, movies, answer random questions, adds to the grocery list and much more. Alexa is built in the cloud, as Alexa gets more familiar with you, it will recognize your speech patterns, vocabulary, and learn your personal preferences. Amazon Fire TV seamlessly integrates withe Amazon's Smart Home devices. You can control a number of things in your home buy simple taking to Alexa. 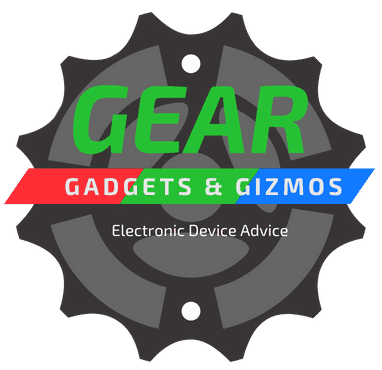 See our reviews on Amazon's Smart Product line. To use Alexa you simply press the mic on the remote and say launch iplayer, search YouTube or play music on my Spotify. Alexa is a really great feature, But it does not work every time and there are services that Alexa will not work with it will not let you search for specific shows in some services, example iplayer. But you guessed it works really well with Amazon’s own video services. All you need is a free Amazon account. You don’t need to subscribe to Amazon Prime but you won’t be getting access to free TV and movies on the Amazon Video App and you will feel left out of the action. Alexa is a nice addition but using the simple remote that has just a few Buttons is pretty easy too. Do you need an Amazon Fire Stick if you have a smart TV? Maybe, depending on what services you like to watch. But many new smart TVs offer many of the same apps as the Amazon Fire. But keep in mind it is limited. But for many, it is plenty good. The new 802.11ac Wi Fi helps make the new Fire TV Stick perform much better than the old one. Every thing moves faster and there is basically very buffering time. We all love buffering. Great reason to purchase the Fire stick is if you have an older TV around the house without any smart features plug this unit in a boom you now have a smart TV. Keep in mind you do have to have a decent Internet speed to make any streaming services work properly. The Fire Stick does not support 4k or HDL content it is limited to 1080p. Playing games on the stick can be a laggy experience and not too enjoyable. So if you want to stream Ultra HD content or play more demanding games then moving up to the Amazon Fire TV with 4k Ultra HD would be a better choice at about double the cost of the stick. Some people won’t need a Fire stick if you already have access to a newer smart TV, or gaming boxes like the X box or Play station. But for some, it can be a way to resurrect that dumb TV and get a few more years of use out of it. You can use it with out subscribing to Amazon Prime but the selection is limited. If you have an older Fire TV should you upgrade? It does perform much better than the old one if you don’t use it a lot you are probably good with staying with the older model. But if you do use it a lot then at the price the Amazon Fire Stick can be a great upgrade for less than $50. Amazon Fire TV was introduced a few years back with mixed reviews and marginal performance. The Amazon Fire TV 2 is another streaming device that Amazon has upgraded with their newest offering. It is the company’s top of the line streaming device with a faster processor and 802.11 ac Wi-Fi and now streaming Netflix and Amazon in 4K Ultra HD for improved picture quality. If you are finding the Amazon Fire Stick is lacking in performance and have the need for more speed and want to watch 4K content than moving up to the Amazon Fire TV set top box may be your best answer. Keep in mind you do need a 4K TV to benefit from the increased picture quality, HDCP 2.2 enabled HDMI port and a good Internet connection, 15Mbps is what Amazon recommends. The Amazon Fire TV comes with 8 Gb of storage expandable up to 200 GB. Also included in the new Amazon Fire TV is Alex voice command at the same retail price as the former model. 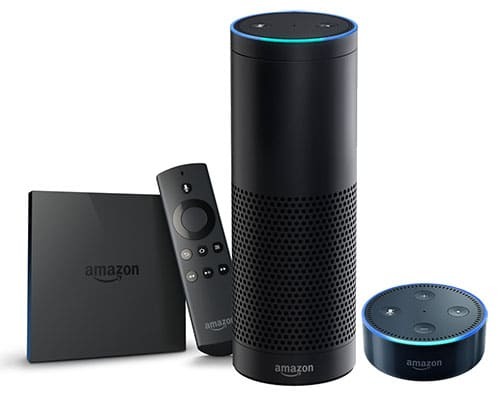 It can search for movies and TV programs with simple voice commands and if you are a big Amazon Shopper it will search for products with a voice command and add things to a shopping list. The voice command works great with Amazon apps, but with other major streaming apps, the voice command does not work. Amazon has done a number of upgrades that significantly improved performance and usability. The main menu has been changed and this has made it easier to find other streaming services. This was a main complaint in the past that other streaming apps other that were buried in the Amazon Prime menu. It has been improved but Prime video is there to remind you with every click. The improved menu does make an attempt at being more inclusive to other apps. They have a new “My show section” that displays a strip of video recommendations from Crackle and they have a recommended Netflix on the home screen. But they don’t work as smoothly as the Amazon apps and will just take you to the main menu of the App with no direct selection from the main menu. The new Amazon Fire Sticks improvement and price have made this streaming player a much better option than in the past. Unfortunately for Canadians Amazon Fire TV is not sold in Canada. There are ways if you really want one see our full post on How to buy ﻿﻿Amazon Fire TV if you live in Canada. The performance of the new Amazon Fire TV is still is not perfect. Although the new model is very responsive and fast the interface is still a little inconsistent. Many major streaming Apps are not available, much less than the Roku. As mentioned the voice command is a nice touch but does not work with every App. The Amazon Fire TV experience has improved but it still weighs heavily in favour of Amazon Videos. You can function without Amazon Prime but you will feel like an outsider if you don’t sign up. This is no real surprise that Amazon has made this an ideal platform to sell their products and services and do we expect this to change, I doubt it. So if this were a turn off for you I would look at the Roku or GooBang Doo with more channel options and no Amazon up sell. So over all the new Amazon Fire TV is a big improvement from their former offering. It does run fast and smooth through most apps but leans heavily towards the Amazon eco system. If you are not a prime member then other streaming media devices on the market would be a better choice. The addition of Alexa is a real bonus at no extra cost, and it works great in the Amazon environment. Unfortunately this model is not available in Canada. See my Amazon Fire TV Stick Basic Edition Review this model is available in Canada. The Apple TV has been around for a number of years. It was a pioneer in many ways. Offering 1080p as the new standard and a sleek well designed remote reminiscent of the iPod. It was a great streaming device when it first came out in 2007 but it also had its limitations and many competitors started offering better devices with more features and streaming provider apps for less money. Surprisingly the Apple TV offers much less streaming content than many other streaming devices that have since been brought to market after the début of the Apple TV. Apple has been working with third-party content providers like Twitch, VUDU, HBO, Amazon and a number of others but still has less available than Roku or Amazon Fire TV. The love affair for the Apple TV is not as strong as they are for their iPads and iPhones. The Apple remote has always been well-liked. The style was sleek and simple with a minimum of buttons doing what Apple does best. The new remote continues Apple innovation and simplicity. 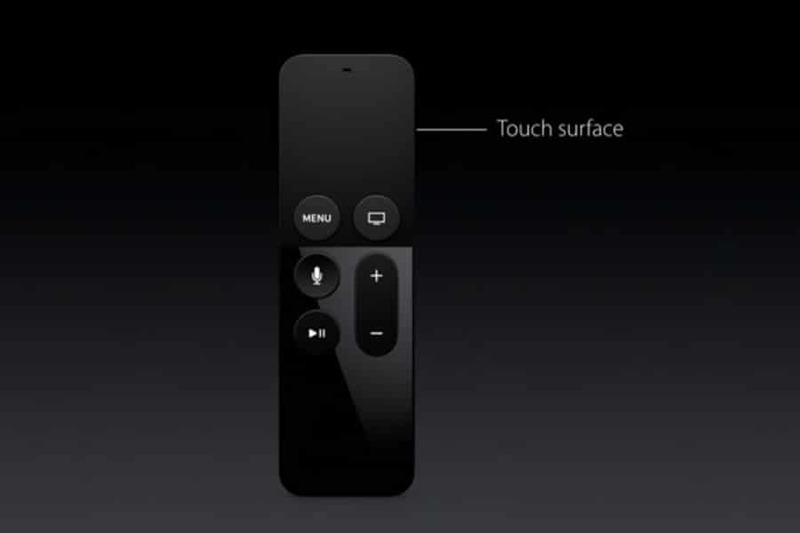 They have added a touchpad to the new remote allowing users the ability to swipe to navigate through menus. Very familiar to iPad and iPhone users. The one problem with the Apple remote is when you want to enter text. You have to do this one letter at a time. You can download an app to your iPad or smart device and pair it with your Apple TV. But this is kind of inconvenient and defeats the purpose of having a remote. If you are already part of the Apple ecosystem then you are probably familiar with Siri voice control. They have added a number of upgrades to Apple TV assistant “Siri “ in the new model. Tell Siri to search for movies, TV, music, Netflix and live stream channels. Siri is a great feature but she only recognizes about half the commands than it does on other IOS systems. I think the Apple TV is one product that Apple seems to be neglecting. It was a “ Hobby Project” of Steve Jobs back in 2006 and as usual, he wanted a very simple entertainment hub that could be accessed very easily. With his three click philosophy. "Get to a program or app desired in three steps or less." The Apple TV has had two major upgrades from its first version introduced in 2007 with Wi-Fi antenna 802.1b and 1 GHz Pentium M with 256 MB processor. The second version improving the Wi-Fi antenna to 802.11ba/b/g/n and now their latest model has Wi-Fi antenna 802.1ac and improved processor to 64-bit Apple A8 for even better performance. They have increased the speed and improved the menu but they have reduced the storage space. I guess they feel that this unit will be used for streaming content more than storing extra media and if you are part of the Apple ecosystem they also make sharing and storing on other Apple device like iMac or iPad easy to do. Eliminating the need to store a large amount of media on the Apple TV. The hard drive space is still pretty impressive compared to many other streaming devices on the market. They have two sizes 32 GB and for about $100 more the 64 GB. Processing power and specs are the same in every other way. Apple has loosened up a little and allows more third party apps so the program selection is improving but like Amazon and Amazon Fire TVs, Apple is using this as a platform to sell their own products. It does lean heavily into purchasing Apple products and streaming content. All purchase go through iTunes. Also, the three-click philosophy works with getting you back to an Apple's purchase screen. They seemed to have perfected it to do it in one. Seamless integration with iTunes, Apple music, Ipads, Iphones, and Macs is really where this unit shines. Apple AirPlay allows you to easily stream content from any of these devices onto you big TV with a swipe and a tap of your finger. Overall the Apple TV still is a fair price if you consider the storage space of 32 GB or 64 GB. The movie and gaming apps are limited compared to many other competitors. If you don’t want to be part of Apple ecosystem then look at other streaming media players on the market. 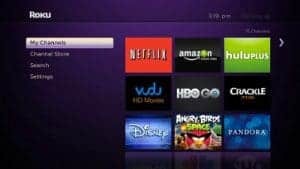 The best Android option is the Roku unlike Amazon or Apple there is no pressure or constant presence to purchase their products. They just want to provide customers with as many available online services at a reasonable price. Apple was the first to perfect the voice-activated controls with "Siri" but since her introduction, other voice-activated controllers are now being offered both Amazon Fire TV and Roku both have Voice command features. Gaming on the Apple TV is ok but will not replace your Xbox. They have introduced a Steel series Nimbus gaming controller that can be added to improve the gaming experience. But if gaming is important than the Nivide Shield which has 16 Gb of storage and runs at 3 X the speed of the Apple TV for about the same price. If you love your Apple products and already making purchases on iTunes and iMovie's etc. and if gaming is not your main reason for streaming, then the much improved Apple TV would probably suit your needs. Selection is limited compared to many other competitors. Roku has been quietly gaining ground on Apple TV and Amazon TV in the last few years. They are a company that only makes streaming media devices and not just as a sideline. From the Roku line, the best bang for your buck from their 6 models to choose from is the Roku Premiere plus it comes in at around $100 an additional $20 from the Roku Premiere but with almost all the features of the Roku Ultra at around $130. The new Roku Premiere Plus is now fanless and runs a lot quieter and cooler than the original version. It supports 4K 60fps just like the Premiere and the Ultra. HDR (High Dynamic Range) is where the Premiere drops out. HDR helps adds more dynamic color range to your TV picture. But if you don’t have a 4K HD TV this will not make any difference. 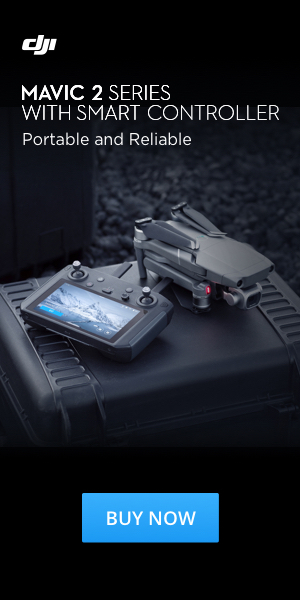 The Premiere Plus has a micro SD card slot to play external media. It also comes with a remote with a private listening jack so you can watch TV with headphones. Plug a pair of headphones in jack and it will mute the audio and you will now not be disturbing anyone. A great feature if you watch loud TV at night and others in the house would like to sleep. The Roku Plus has an Ethernet port just like the Ultra so you can hard wire to your network for better performance. Roku Premiere does not have a USB input or Optical Audio. If you need optical for your home theater system then moving up to the Ultra is your better option. But your devices need to be supported by HDCP 2.2 if it does not you will not get 4k but only 1080p. The main menu and operations are the same across all 5 of the Roku’s product line. Load time on the Premiere Plus has been improved from past models and loads much faster than the Roku Express. When first opening Apps on the Roku Premiere Plus is a little slower than the Apple TV or some other Android TV devices but once the App is loaded browsing around is very fast and responsive. Programming is where the Roku devices shine. They have the most channel selection than many other competitors. Roku is not in the media content business like Amazon or Apple and therefore are not competing for content. They want to provide customers with a reasonably priced streaming device with the largest amount of channel selection available. Roku has Netflix, Amazon, Google Play and most other services, more than most devices on the market. One problem is many big players like HBO, Hulu, Now/Go, watch ESPN, and Sling TV do not offer 4K or HDR yet. You will not be able to take advantage of the 4K capabilities on the Roku. But you will be set for the future and most likely Roku will be one of the first to access this 4K content. The only App it does not support is Apple iTunes content. Other than that the Roku supports almost everything else. Overall the performance, once the apps are loaded, is very responsive. Channel selection and App support are the best on the market. The Roku Premier Plus is a better option than the Roku Priemere. For $20 more the Plus gives you 4K and HDR a better point anywhere remote, headphone connection for private listening. The Roku Premiere Plus also has a MicroSD card slot and an Ethernet port for wired connections this can be more stable the WiFi. Although presently 4K content is minimal this will be changing soon as the industry evolves and more 4K content will be made available. But for now, the Roku Premiere Plus sits at a great price point. Big channel selection, great performance, ready for 4K content to make it the best choice in the Roku line.